Location! Location Location! 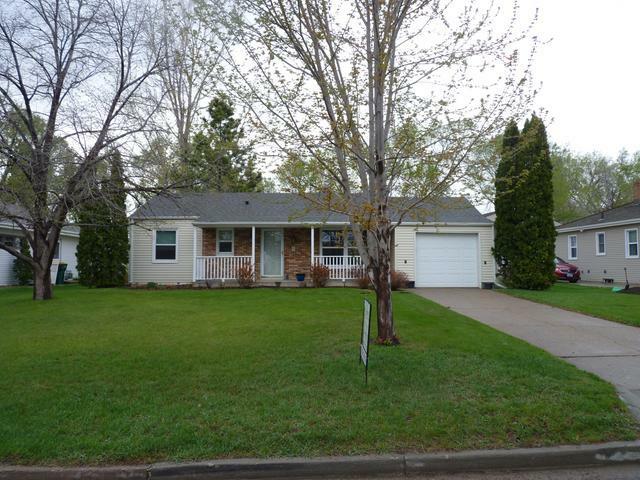 This 3 bedroom RANCH style home is located in desirable HIGHLAND ACRES in NW Bismarck with an inviting front porch and attached single garage. There are many UPDATES including: beautiful NEWER kitchen cabinets, stainless steel appliances, corian counter tops, tiled back splash undermount sink and fixture, NEWER windows including an EGRESS window, shingles, both bathrooms have been updated with flooring, cabinets and fixtures, newer furnace and water heater. Well maintained home features original hardwood floors on the main floor and treed backyard is fully fenced with a fire pit.. The basement has a large family room which can be used as another bedroom as it features an egress window, closest and built ins. There is also a 2nd bathroom for convenience. The laundry room is large with a newer Whirlpool washer and dryer. Lots of storage with built in shelves. Call today to view this charming cozy home, move in ready condition!